To serve the total visual health care needs of the people of the Louisiana through public and professional education, membership services and legislative advocacy. To provide the public direct access to ophthalmic care. A non-profit organization, LAEPS member ophthalmologists are medical doctors specializing in the evaluation and treatment of the normal and abnormal eye. 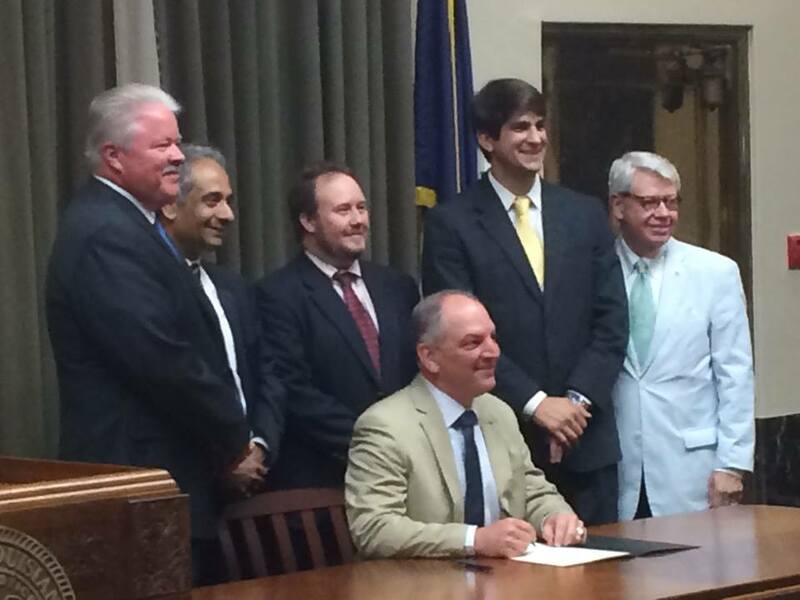 Patients suffering from eye diseases (especially Glaucoma) had a major win in Louisiana. Thanks to Senator Luneau and the Louisiana Academy of Eye Physicians and Surgeons (LAEPS), patients who depend on daily eye drops can get an early refill on their medication effective August 1, 2016. Unlike pills, patients often run out of eye drops early. “Glaucoma is a blinding disease that effects up to 10% of our state population. Glaucoma is usually treated with eye drops that need to be instilled inside the eye at least twice daily, if not more, depending on the severity of the disease. It is very difficult to instill eye drops, without missing the eye. It is not uncommon to run out of these drops before the end of the month, especially by the elderly and in infants.” said Dr Ramesh Ayyala, President of LAEPS and Professor of Ophthalmology and Director of Glaucoma Services at Tulane School of Medicine. A record number of children now have refractive errors, requiring glasses or other intervention to see. Learn about the different kinds of refractive error from myopia to astigmatism in this article by clicking here. Members, don't forget to Pay Your Dues! Not a member of LAEPS?